While ozone pollution has seen a drop across many parts of the United States, there are still several areas where unhealthy levels of ozone are evident, according to the latest health assessment based on the Tropospheric Ozone Assessment Report (TOAR). The result of the assessment, which is a part of the International Global Atmospheric Chemistry Project with support from NOAA, Forschungszentrum Jülich, and the World Meteorological Organization, was published on February 5 in the journal Elementa: Science of the Anthropocene. The same pattern is evident in parts of southern Europe, South Korea, Japan and China, with these regions experiencing more than 15 days a year of ozone levels above 70 parts per billion (ppb). Talking about TOAR, Owen Cooper, a CIRES scientist working at NOAA said that it is the first-ever global-scale scientific assessment of tropospheric ozone. The assessment is based on surface observations at more than 4,800 monitoring sites worldwide and peer-reviewed literature. This huge database is freely available. Ground-level ozone is a greenhouse gas that is detrimental to ecosystem, human health and crop productivity. 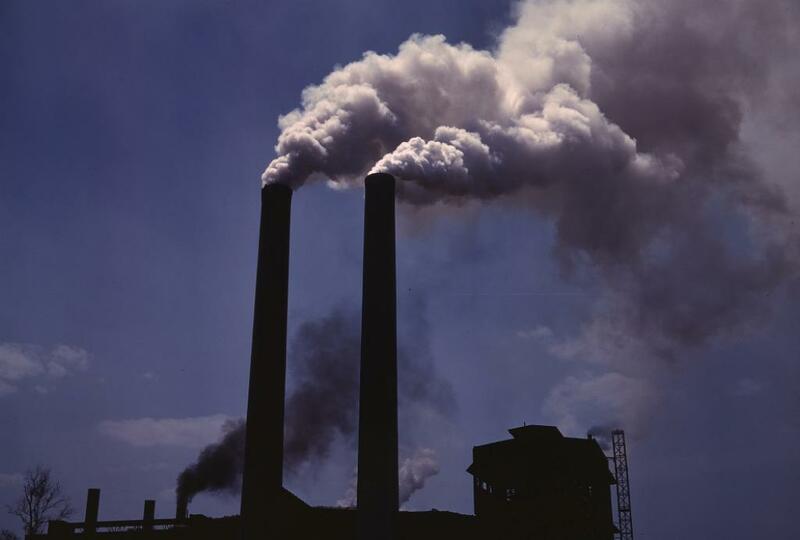 As it is a secondary pollutant, it is not emitted directly, but gets formed out of reactions between natural and human-caused chemical emissions. Emissions from vehicles, power plants and other human activities add to the concentration of surface ozone. 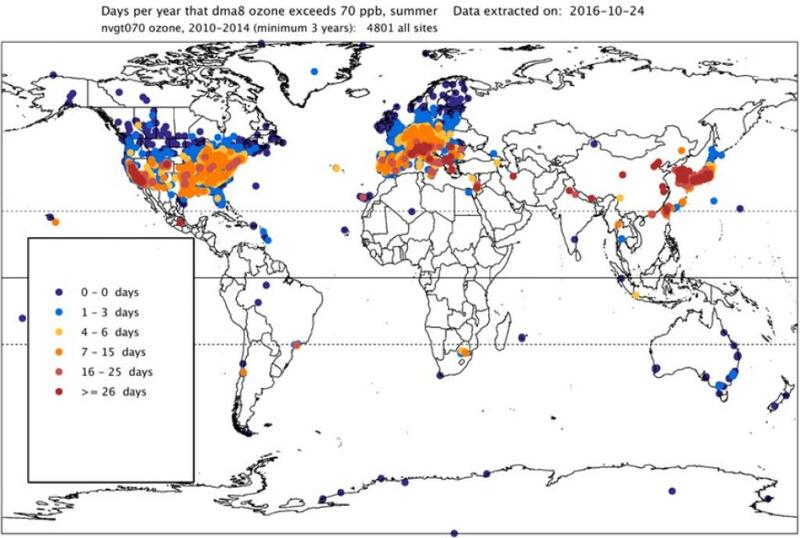 So far, limited and disparate datasets did not give scientists enough insights to answer common questions about distribution and trends in ozone pollution across the world: Which regions face maximum ozone exposure? To what extent is ozone level increasing in developing countries? Have air quality regulations been effective in reducing ozone levels in developed nations? Ozone levels across large parts of North America and Europe dropped significantly between 2000 and 2014. During 2010-2014 people in some parts of California, Arizona, Colorado, Texas, the Midwest, and the Middle Atlantic still experienced more than 15 days a year in which ozone levels exceeded the US health-based air quality standard of 70 ppb. Some parts of southern Europe, South Korea, outhern Japan and China experienced more than 15 days a year of ozone levels above 70 ppb. In some parts of Asia, Africa and South America, the researchers identified data gaps which prevented them from characterising ozone pollution exposure patterns. Overall, Southern Hemisphere has lower ozone pollution levels— fewer days above 70 ppb. “Human health impacts from ozone are still a cause for concern across the world and are rising in parts of East Asia, with the potential for serious health effects on their populations,” said Zoё Fleming, a researcher with the National Centre for Atmospheric Science at University of Leicester’s Department of Chemistry and one of the lead authors of the study coauthored by experts from 12 international institutions.